Long Island Spine Specialists, PC (Commack) - Book Appointment Online! At Long Island Spine Specialists, P.C., we know how debilitating back and neck disorders can be for our patients. We also know that when it comes to treating these conditions, finding the treatment option that best meets each patient's individual needs is perhaps the most important aspect to successfully alleviating or managing back and neck pain. 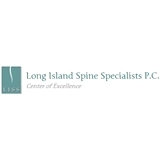 As a patient at Long Island Spine Specialists, P.C., you can be sure that your treatment plan reflects your specific needs and concerns and will be carried out by surgeons and physiatrists who are recognized leaders in the field. We work as a team to help you effectively manage your condition and improve your quality of life.